When completed will be twice the capacity of the world’s largest offshore wind farm. 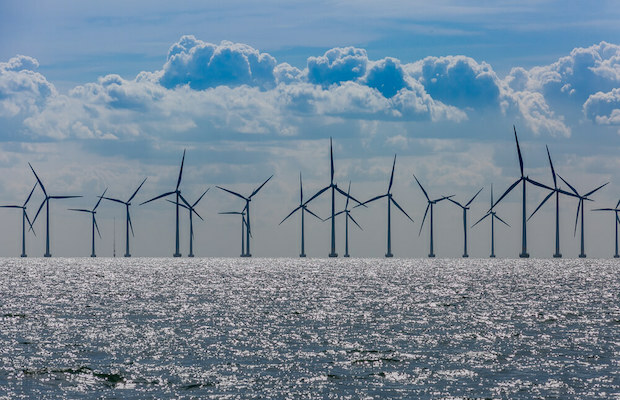 Danish wind energy solutions provider, Ørsted, has announced that its Hornsea 1 wind farm off the coast of Yorkshire (Britain) is to supply its first power to the UK electricity grid this week. The Danish developer will be installing the first of 174 turbines at Hornsea One, which when completed will be twice the capacity of the world’s largest offshore wind farm. With this Ørsted hopes to step up its plans and fill the gap left by failed nuclear power schemes. The project will span over 407 sq. kms. Nearly five times the size of the nearby city of Hull. At 1.2 GW of capacity, it will power 1 million homes, making it about twice as powerful as today’s biggest offshore wind farm, the Walney Extension (659 MW) off the Cumbrian coast that was also developed by Ørsted, once it is completed in the second half of this year. “The ability to generate clean electricity offshore at this scale is a globally significant milestone at a time when urgent action needs to be taken to tackle climate change,” said Matthew Wright, UK Managing Director, Ørsted. Recently, Industry body Wind Europe furnished data that says new wind deals through corporate power purchase agreements (PPAs) were signed in Europe last year for 1.5 GW of capacity, up from 1.3 GW in 2017. European companies bought a record amount of wind power capacity last year, as energy-hungry businesses like aluminium producers and IT giants looked for greener ways to drive their machinery and data centers.